Breakfast is everyone’s favorite meal. With menu items like bacon, quiche, and chicken and waffles, it’s hard to find anyone who would turn down a delicious breakfast or brunch! Enjoying your favorite early morning dishes at a restaurant or in your home is always great, but getting to nosh on breakfast during the evening is a real treat. Even better, getting to eat breakfast at a wedding! As weddings become more about personalization and fun (and less about rules and traditions) we get to work with more couples who want their weddings to reflect their tastes and be memorable nights for their guests. For several of those couples, that means serving their favorite meal— breakfast! When it comes to serving breakfast at a wedding, there’s a lot of options. 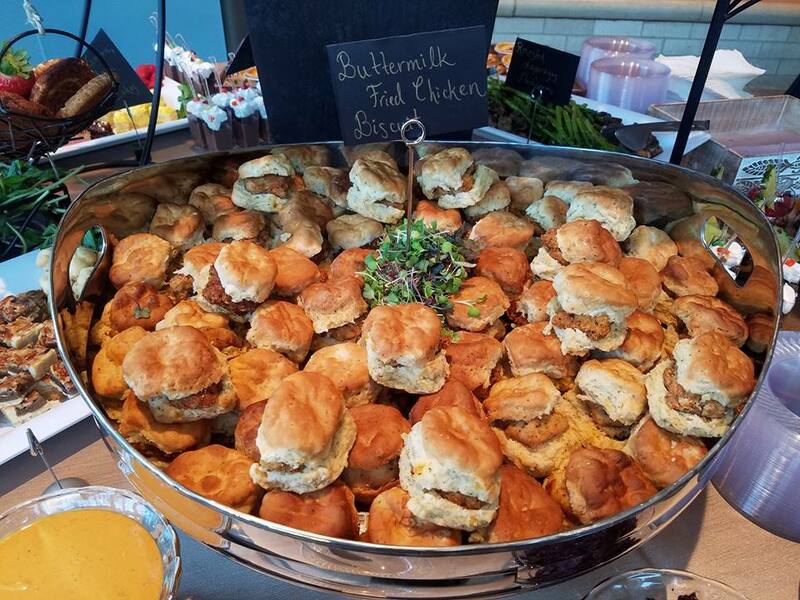 While a hearty and abundant breakfast buffet will have your guests patting their stomachs in satisfaction, an upbeat collection of brunch stations makes your wedding one-of-a-kind! First, we can start with a cocktail hour made up of passed hors d’oeuvres and some perfectly themed cocktails. 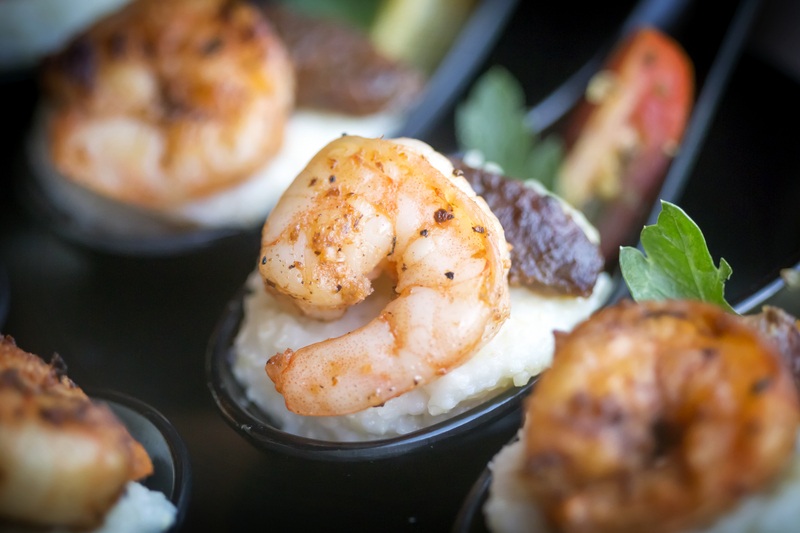 Your guests can enjoy Mini Chicken & Waffles (a Southern staple) and our Signature Shrimp & Grit Bites. These are two southern favorites that pair well with a breakfast-forward menu and will whet the appetites of you party-goers. 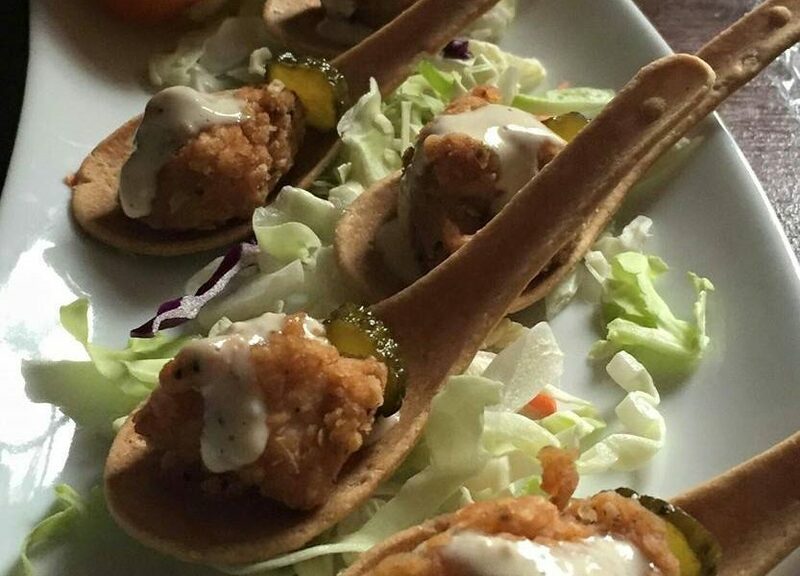 While they nibble, they can meander up to the bar and grab a Blood Mary or Mimosa. Our bartenders will help guests “build their own” cocktails in addition to pouring beer, wine, and other drinks. For a Bloody Mary our bartender will mix the tomato juice and vodka and then let guests add celery sticks, thick cut bacon, and bleu cheese olives to garnish their beverage. Or, for a mouth-watering Mimosa, your friends and family pair their champagne with strawberry puree, mango nectar, or orange juice! It’s the ideal start to a breakfast they’ll never forget. 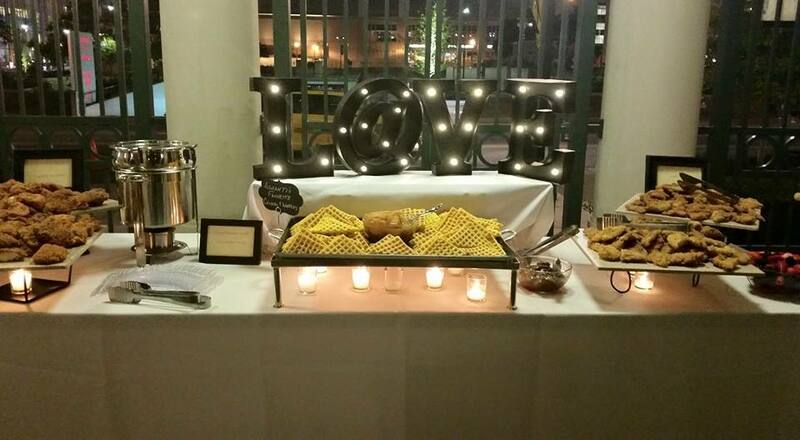 Once the reception begins, we’ll really get the party going with brunch stations spread around your venue. Your guests can partake of one dish at a time or make the rounds to enjoy it all at once! 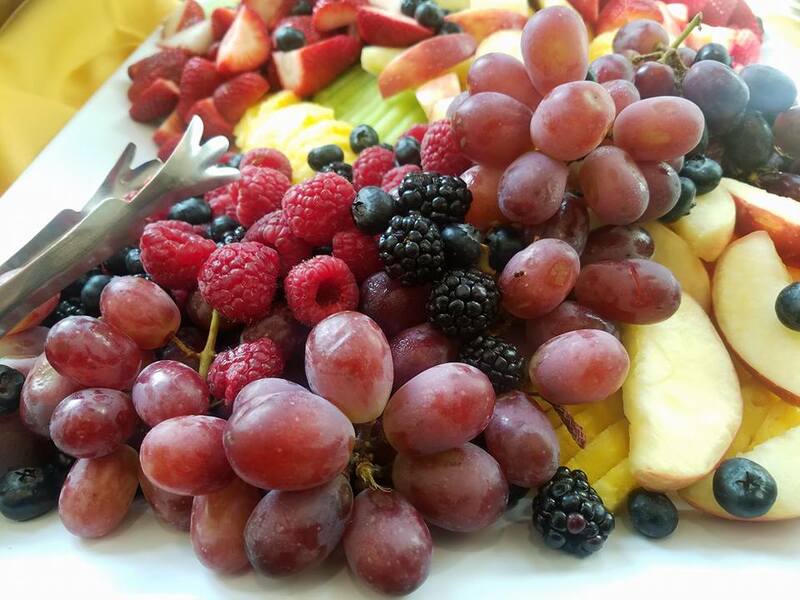 Starting with the lightest fair from the menu, your friends can choose their favorites from a decadent Fresh Fruit Display. Then, they can collect a Homemade Mini Quiche or two; one of our favorites is made with caramelized onion, tomato, and feta cheese. After that, it’s on to the classics! At our Pancake Bar folks can enjoy an assortment of fluffy pancakes (traditional, blueberry, and chocolate chip varieties) and then add their favorite toppings. We recommend fresh berries, homemade whipped cream, and warm syrup. We’re just getting started with all these delightful breakfast dishes! 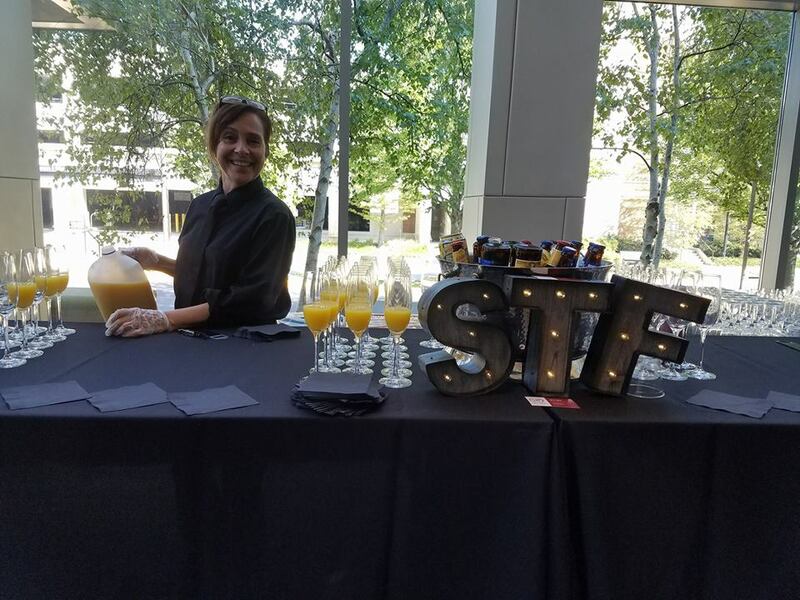 No Southern brunch menu is complete without some Biscuits & Gravy, and STF’s will give your grandma’s a run for their money. 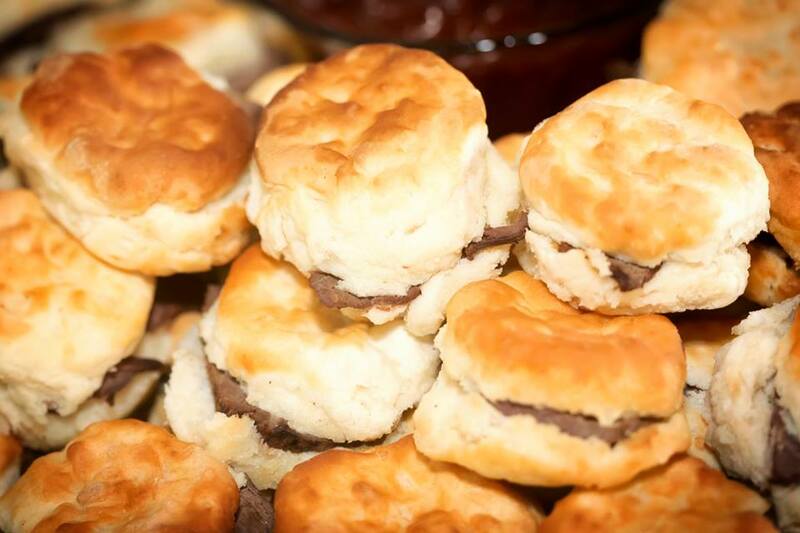 If gravy isn’t everyone’s thing, there’s also a selection of jellies, jams, butter, and honey for these flakey biscuits. To satisfy the carnivores, one station is entirely made up of Crispy Bacon, Thick Sliced Sugar Cured Ham, and Bourbon Brined Pork Belly. I think we all know how popular that station is! Then, to finish it all off is our Three Cheese Hashbrown Casserole. With so much delicious food in their bellies, your guests are fueled to spend the rest of the night dancing! 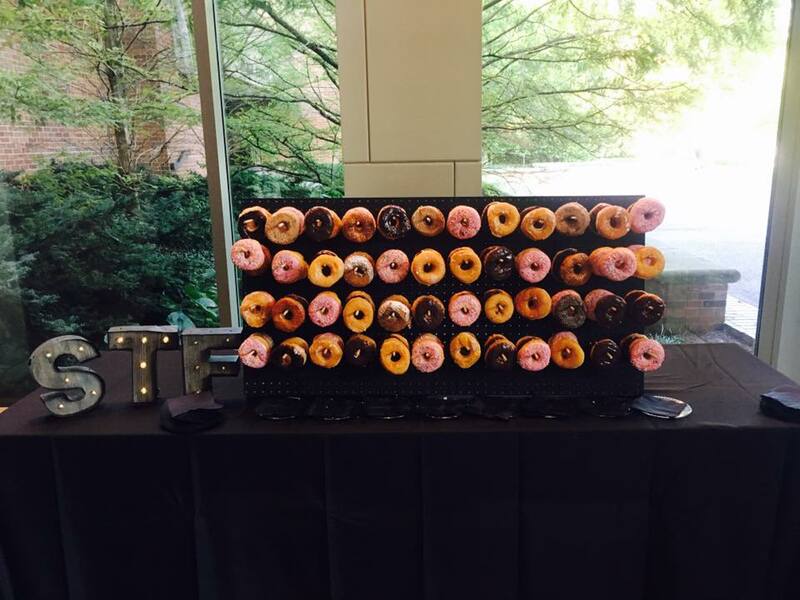 No wedding is complete without dessert, and with a breakfast themed menu that can mean only one thing- donuts! We’ll supply an amazing donut wall and a hoard of assorted donuts. After you “cut the cake” and stuff each other’s faces, your guests can pick their favorites off of our donut wall. Pair it with a simple coffee service, and everyone will get their second wind for another round of cutting a rug! Creating your own trend and choosing a wedding that’s perfect for you means getting a little creative. Having fun and treating your guests to an amazing brunch menu will set your wedding apart from the pack! You’ll be a hit, and folks will be talking about for decades to come. If you love bacon like it’s going out of style, give us a call today at 615-982-2249 and we’ll start working on a brunch themed menu for your event! You have shared a very informative stuff in this blog. It can be very helpful for all.